Sign up and receive Property Email Alerts of Villas for sale in Franschhoek, Franschhoek. Direct from Developer. All cost included. VAT may be claimed back. Welcome to L'Ermitage Franschhoek Chateau and Villas, a picturesque country village ready to embrace you with its natural sophistication and French romantic charm. With breathtaking views of the majestic fynbos-rich Franschhoek mountains and wine valley, quaint cobbled streets, fountains, cafes, a conference venue, chapel (ideal for weddings) and a spa, amongst other amenities to ensure you experience the best of village life, L'Ermitage offers both the investor and homeowner a superior lock-up-and-go lifestyle opportunity in the heart of the Franschhoek winelands in the form of spacious 2-bedroom villas. With handcrafted finishes and exquisite decor, L'Ermitage offers a haven of luxury and comfort, in one of the most spectacular backdrops in the Cape. L'Ermitage Chateau & Villas can comfortably accommodate families, business professionals and couples. The convenience of the self-catering facilities ensures the freedom of a relaxing and uninterrupted stay. The first phase of L'Ermitage Village was developed in 2008 and consists of the main Chateau with 6 suites, the conference facility, chapel and 34 villas. 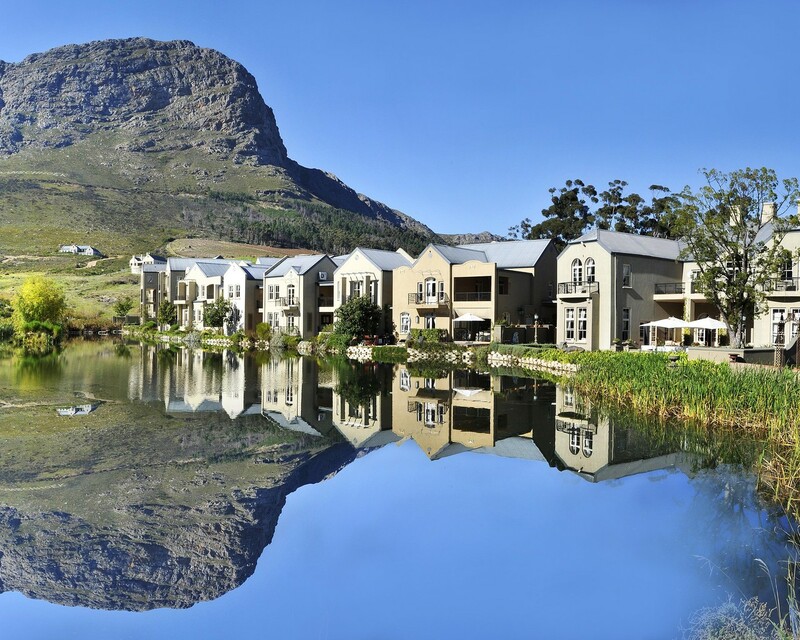 In 2009 L'Ermitage was awarded the prestigious 'Best Development in Africa' prize at the International Property Awards. The second phase of L'Ermitage consists of 79 villas, of which only 20 opportunities will be sold. The two-bedroom villas are large, and each consists of spacious rooms, a fully fitted kitchen, a luxuriously relaxing lounge/dining room area and a large private patio. Sign-up and receive Property Email Alerts of Villas for sale in Franschhoek, Franschhoek.